Together we will be picking some fierce queer performers to appear in ‘Color a Queen’ Vol. 6 which will debut at DragCon NYC 2018. CONTEST DESCRIPTION: Beginning at 12:00:00 AM Eastern Time (ET) on 8/25/18 and ends at 11:59:59 PM (ET) on 9/15/18 (”Contest Period”). 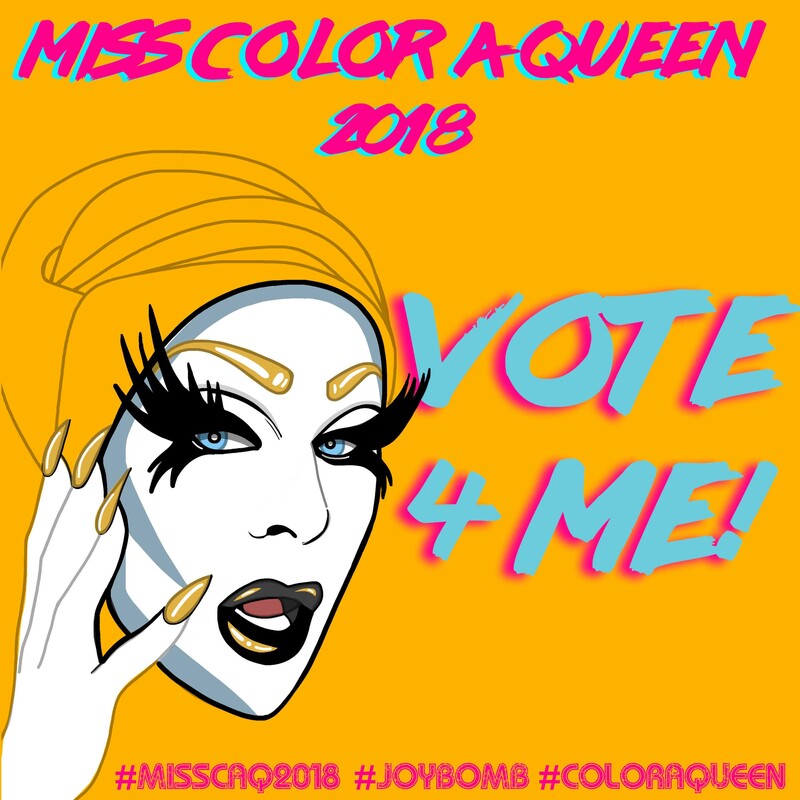 By participating in the Contest, each entrant unconditionally accepts and agrees to comply with and abide by these Official Rules and the decisions of coloraqueen.com(Fredy Ralda) which shall be final and binding in all respects. ELIGIBILITY: Open to legal residents of the fifty (50) United States and District of Columbia who are 18 years of age or older at time of entry. GENERAL: Winner will be picked from pool of eligible entrants. (1winner)First Prize: Custom illustration of winner which will appear in ‘Color a Queen’ Vol.6 and an interview on Joy Bomb with Sister Indica! plus:1 copy of Color a Queen Vol.6 signed by artist. 1 Button pack, 1 enamel pin. (3 winners)Second Prize: 3 winners will be illustrated on one page which, will appear in ‘Color a Queen’ Vol.6. Each winner will receive a copy of Color a Queen Vol.6 , 3 buttons, 1 enamel pin. This contest is in no way sponsored, endorsed or administered by instagram.